5 new posts in 2 days… Hello. Is anyone out there reading this blog? Anyway, I’ve been dreading to edit this video. First cause it’s the first video I ever recorded and I sounded so 7. 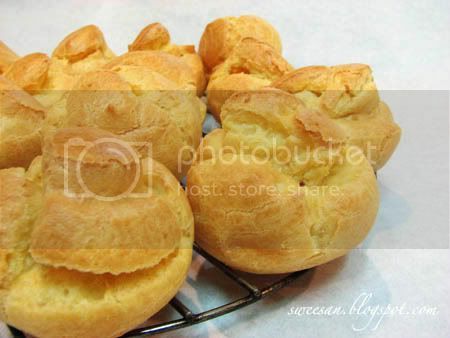 And it’s almost 8 minutes in total T__T But oh well, this video will (perhaps, I wish) teach you how to make choux (pronounced like shoe) puffs. 1. Preheat oven to 200 C. In a saucepan, combine milk, water, butter, sugar, and salt. Bring to a boil, then remove from heat. 2. Stir in flour with a spatula or wooden spoon till combined. Return to heat and cook for about 45-60s or until mixture leaves the sides of the saucepan and a film forms on the bottom of the pan. 3. Transfer mixture to mixing bowl and beat till it’s cooled down. 4. Gradually add eggs into mixing bowl and beat till the texture is like thick mayo / mustard. 6. Bake at 200 C about 18-20 minutes, then reduce temperature to 180 C and bake further 15-20 minutes to dry out. 7. Serve with cream patisserie. 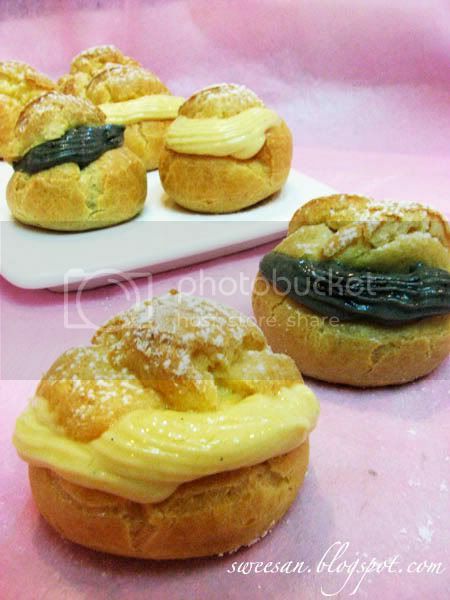 * Tutorial on how to make cream patiserrie here!! Yes, Yes, Yes, I am reading. lol!!!! 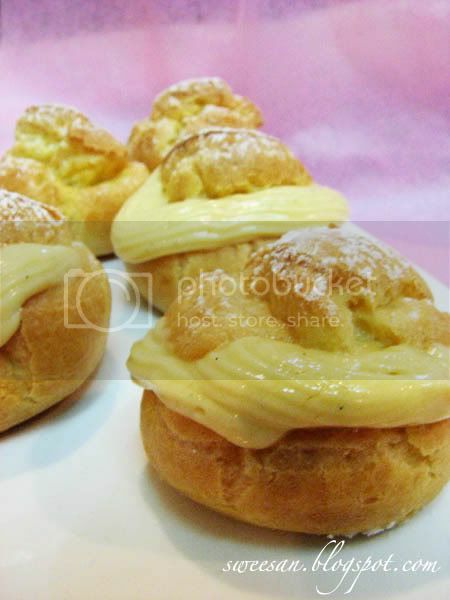 Delicious cream puff…… Yum!! Love the video. Thanks for sharing.